Come one Come all - Eat and Celebrate with Ruby's Diner! Happy Birthday and Congrats on the Ruby Dooby Foundation. I love when great places do good things. Ruby’s Diner is excited to announce the launch of the Ruby Dooby Foundation to honor its namesake, Ruby Cavanaugh. 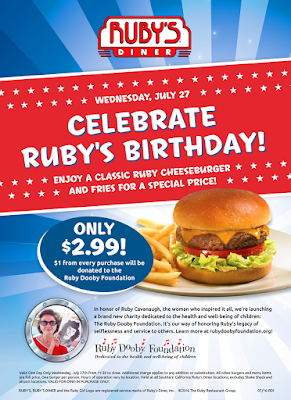 To kick off the Foundation, Ruby’s Diner restaurants (except Shake Shack and airport locations) will hold a special burger day event on July 27th from 11:30am to closing. 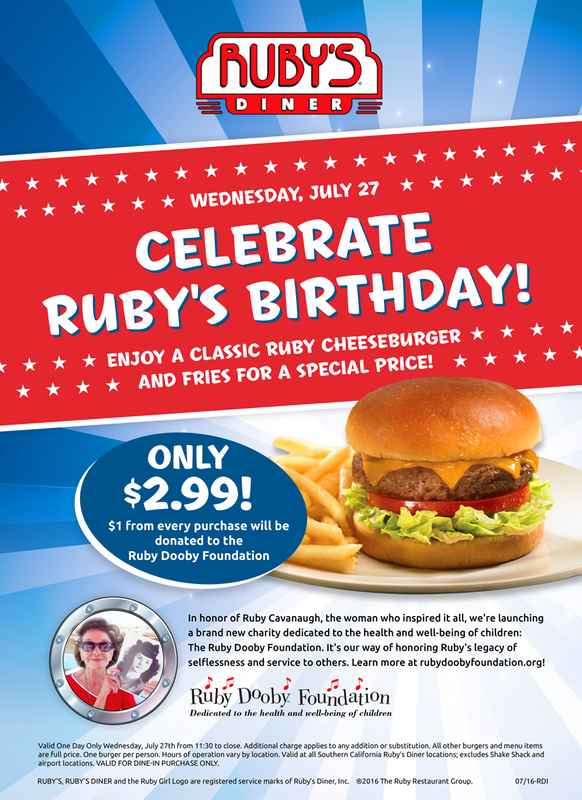 During this time, Ruby’s will offer the popular Ruby Cheeseburger and fries for the special price of $2.99, and for each burger sold $1 will be donated to the Ruby Dooby Foundation. The Ruby Dooby Foundation will carry on Ruby Cavanaugh’s charitable spirit and dedication to the health and well-being of children. 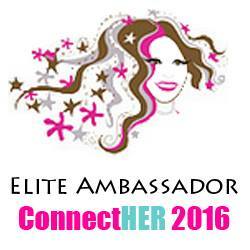 Get more info and all the details on Ruby's locations and more here!